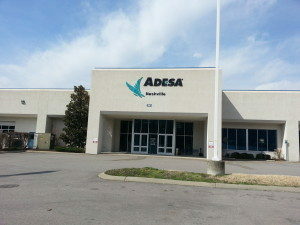 Anchor Pressure Washing provides experienced commercial power washing and exterior building cleaning in Nashville, Franklin and the surrounding middle Tennessee area. A commercial building is a major investment and should always looks it best! Building appearance is important! Customers and investors sometimes judge your business’ performance and reputation based solely on the appearance of your building. Unfortunately, the appearance of your building may not always be in your control. Weather conditions, “people traffic”, and other influences can cause your building, doors, floors, parking lots, and even machinery collect dirt and debris, leaving your business looking less than its best. Curb appeal is vital for your business’s first impression with customers! 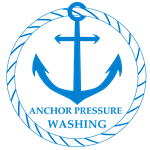 Anchor Pressure Washing provides the most efficient method of getting rid of the surface dirt, mold, mildew, and any other buildup that could collect on your building, parking lot, or walkways. We use hot water equipment to get the job done right! Plus, pressure washing is the most efficient way to prepare your building for repairs, new paint, or stain. Getting your house power washed can help increase your home’s curb appeal. We always perform to our customer’s satisfaction, so you have the confidence that your home will shine! We utilize a soft washing technique that cleans your house without any risk of damage. We use a special house wash that will kill algae, mildew and expunge dirt that will leave your house as commercial properties as if it were new. Sign up to receive updates on services and specials.